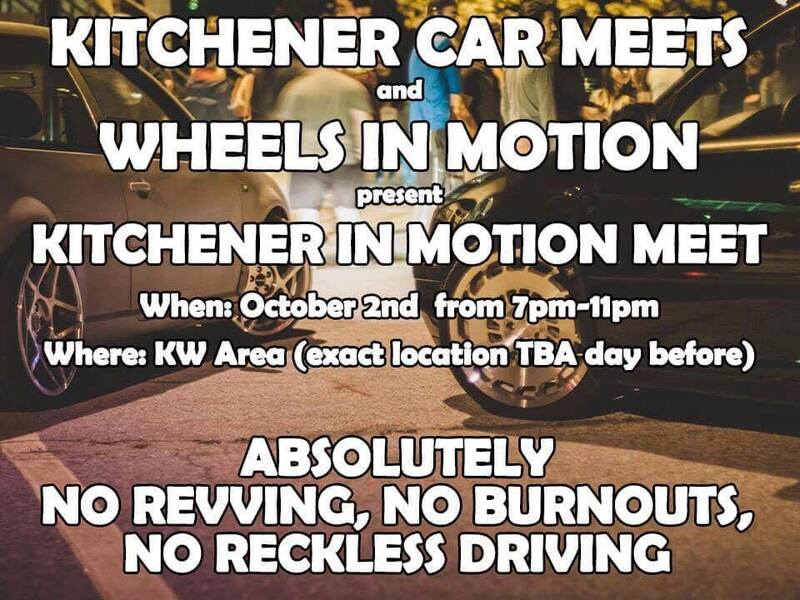 Come out to the first joint meet with Wheels in Motion and Kitchener Car Meets. We will be keeping the location a secret until the day before to avoid any problems. Stay tuned here on the event page, Kitchener Car Meets Facebook page and Wheels in Motions page as well. Please as always keep a level head and respect whatever location we choose as we are guests. Pick up your garbage and leave the lot as we found it. Absolutely NO burnouts, NO revving, NO reckless driving. If you do these things you will be asked to leave and reported to the police. 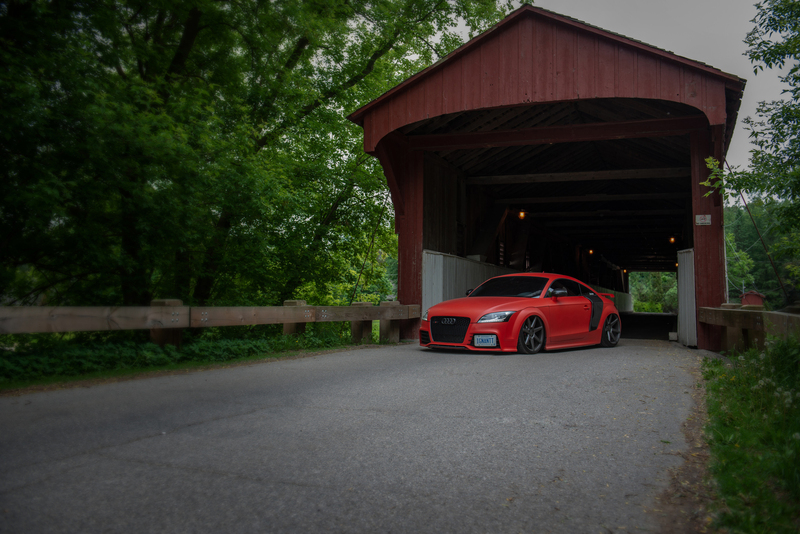 So far Kitchener Car Meets and Wheels in Motion have had good behavior at their Meets and wish to keep that trend going. Stay tuned for more information and let us know if you have any questions!